Philips has announced the UK launch of its LightFrame T monitor which emits a 'cool blue' light which should actively reduces eye strain. MMD 'the entity behind Philips branded monitors in Europe' has announced that the 22 inch monitor in piano white incorporates technology to ease eye strain. Amusingly, the release says 'Extensive scientific research has shown that light has a profound effect on human beings' which it is difficult to disagree with. On a more practical note, the Philips LightFrame T brings SmartContrast 12000:1 to 'guarantee a rich black, SmartImage to make the colours sharper and richer and Truevision Technlogy to allow fine adjustment. 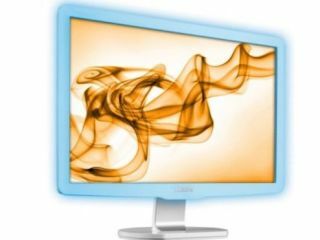 The Philips LightFrame monitor will be available in stores from early July for a recommended retail price of £175 excluding VAT.